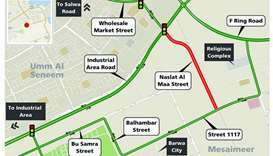 A section of Naslat Al Maa Street in the south west of Doha will be closed from Thursday for 10 days in order to open a new underpass on the Rawdat Al Khail Street Extension project. 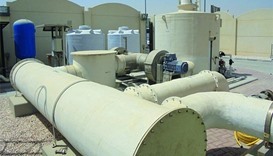 Ashghal has completed the construction of a new pumping station and Treated Sewerage Effluent (TSE) plant in the Labour City in Mesaimeer. 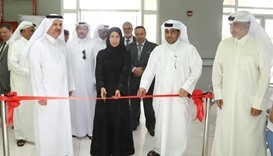 A new government services centre has been opened at Mesaimeer to provide "smoother and closer" facilities to the citizens and residents of the country. 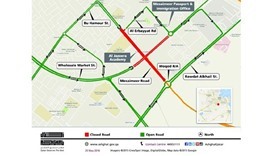 A temporary closure will be in place for two days on both directions between the Mesaimeer Passport and Immigration Office and near the entrance of Al Jazeera Academy on the Wholesale Market Street. 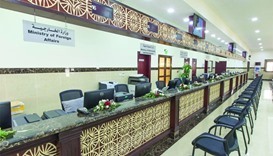 A new Labour Health Centre and a Medical Commission unit that together can cater to more than 40,000 people a month have been officially opened at Mesaimeer. 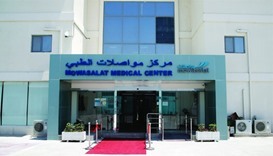 Lekhwiya rounded off their Qatar Stars League season with a 2-1 win over bottom side Mesaimeer yesterday. Lekhwiya had already sealed fourth place and yesterday’s victory only helped them bag three points without any improvement in their position. 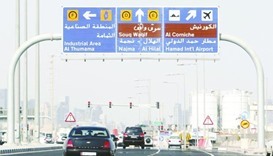 Motorists have called for more fuel stations in Doha, with many stressing the need for such facilities along F-Ring Road. 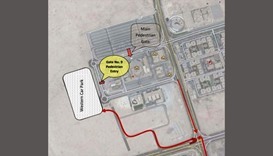 A new car parking area at the western side of the Religious Complex (Pictured) in Mesaimeer will be functional from Thursday. 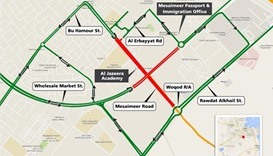 A temporary closure will be in place between Mesaimeer Passport and Immigration office and near the entrance of Al Jazeera Academy (as shown in the map). Captain Rodrigo Tabata’s stunning free-kick and a late header from Fahad Khalfan gave Al Rayyan all three points against Mesaimeer after a tetchy encounter at Grand Hamad Stadium.